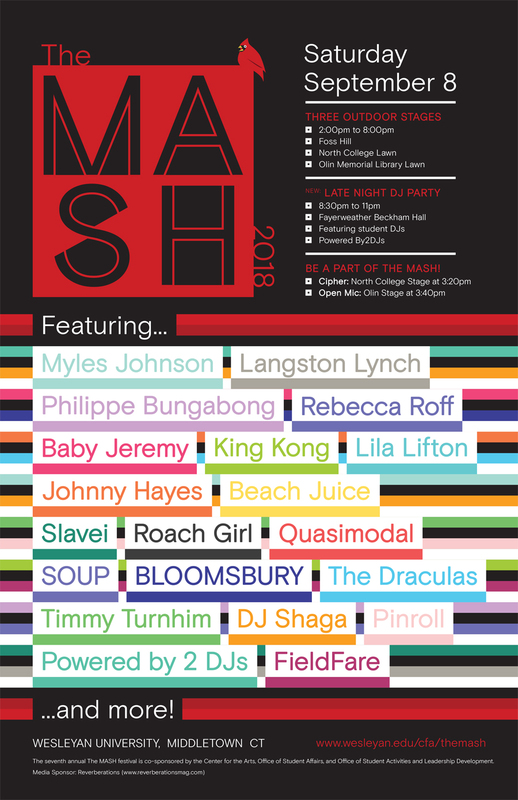 Inspired by Fête de la Musique (also known as Make Music Day), the seventh annual The MASH festival highlights Wesleyan's student music scene, with multiple stages on campus featuring everything from a cappella ensembles to student and faculty bands. Click here to join this event on Facebook. Click here to check out the history of The MASH.